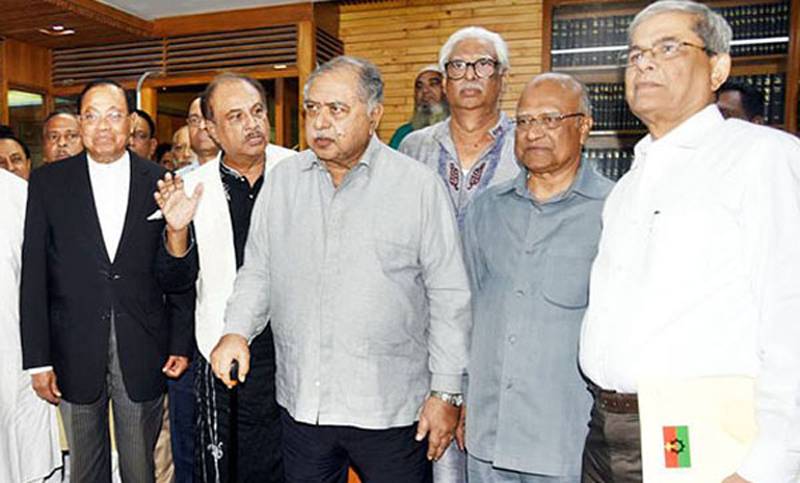 The newly formed opposition pollical alliance Jatiya Oikyafront has sent a letter seeking an appointment to meet President Abdul Hamid on December 17. BNP chairperson’s media wing member Sayrul Kabir Khan has confirmed the news. But no response in this regard was made from the President's Office yet. Sayrul Kabir Khan said: “The letter, signed by BNP Chairperson Khaleda Zia’s Personal Secretary ABM Abdus Sattar, was sent to the President’s House on December 13.